Big news for Good Morning America fans! ABC announced in May that it was canceling its midmorning cooking show, The Chew, to make room for a third hour of its popular morning news program. Now, the cohosts for that new hour have been announced as well as more details about a start date and time slot for interested viewers. 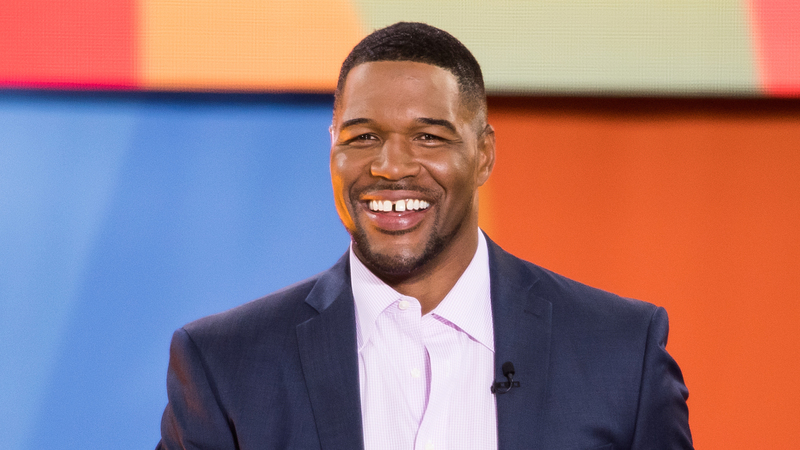 Variety reports that Michael Strahan, who left Live! with Kelly & Michael in 2016 for a full-time spot on GMA, will cohost the show's new third hour with The View's Sara Haines. The new hour will air in the early afternoon on ABC starting Sept. 10. Introducing an afternoon version of GMA marks ABC's newest attempt to best NBC's Today in viewership. Variety reports that the new third hour will allow ABC to create bigger packages for advertisers as well as boost affiliates as it promotes the third hour during the two-hour GMA block that airs each morning. Unlike the current GMA format, which tapes and airs in front of a live studio audience, the third hour will be pretaped, according to Variety. The new hour follows a line of expansions to GMA content, including a morning newsletter and revamped website that both launched in April. When the latter two launched, senior executive producer Michael Corn told Variety that the producers often gather too much information for the morning news team to be able to cover in just two hours. “We have so much content and a two-hour program isn’t even enough for the amount of stories we have to tell, and the amount of information we have,” Corn told Variety. Expanding to the afternoon will be a huge help toward covering those stories. Although this isn't the first time GMA has held an afternoon spot — ABC briefly debuted Good Afternoon America in 2012 according to Variety — it does seem like this time, the idea will stick. Putting Strahan and Haines at the forefront of the show will surely draw in viewers. Variety notes that with her departure from The View, that leaves just four hosts at the table. So now that we know who's hosting the new afternoon hour of GMA, we can't help but wonder: who's going to head to The View?